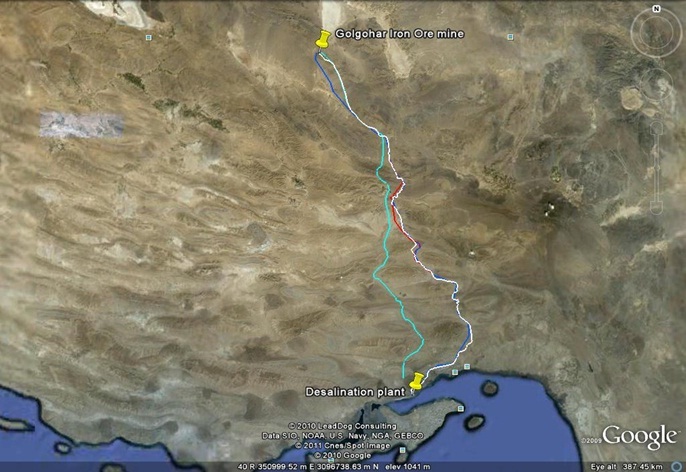 Since we face the lack of drinking, as well as industrial and agricultural water in Sirjan, Kerman and other cities, currently and in the future, utilization of Persian Gulf water and its desalination process was introduced, in order to use in Hormozgan Province and transmission to those cities for different needs. In this regard the Gol-e-Gohar Iron Ore Company in Sirjan as one of the industrial hubs of Kerman Province was pioneered in this field and with cooperation of other companies decided to execute Water Transmission Pipeline from Persian Gulf to the Gol-e-Gohar Iron Ore Company project in Sirjan and was extended to the Sarcheshmeh Copper Co and etc. Considering the existence of many villages and pastures in the path, Kowsar Water Company’s experts by deploying lawyers and cooperating with Dispute Resolution Council of Sirjan, Haji Abad, Fin and Bandar Abbas Regions, performed the legal works related to Land Acquisition, and delivered the documents to the Gol-e-Gohar Iron Ore Company in Sirjan in three months.